Las Vegas and Reno, NV — Switch (NYSE: SWCH), the technology infrastructure corporation that is powering the future of the connected world®, today announced that an international streaming media corporation has signed a 15 MW colocation deal. 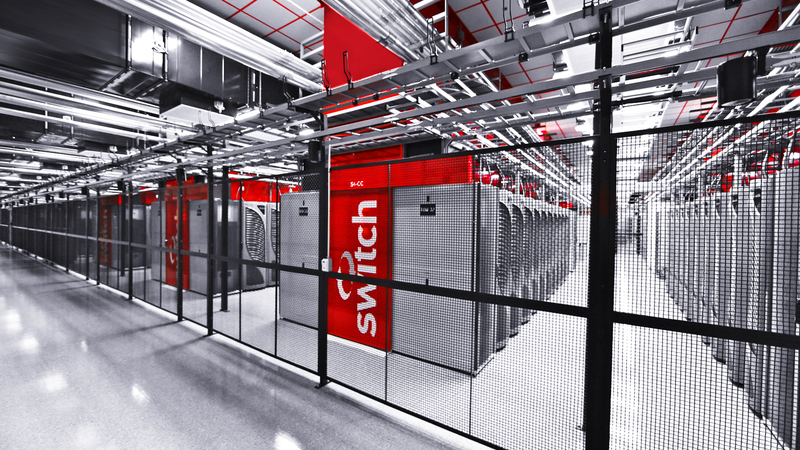 The streaming corporation plans to use Switch’s North American PRIME data centers as a worldwide distribution hub for its services. The company plans to go live at Switch’s facilities in Nevada in July of this year. The international streaming client will be able to take advantage of Nevada’s data center tax abatements, Switch’s 100% renewable energy, its substantial connectivity gateways, and access to international cable landing stations via the Switch CORE® InterExchange. In addition to this streaming company, Switch added a new high security government client at its Core Campus in Las Vegas. At The Pyramid Campus in Grand Rapids, MI, Switch added a large electric utility company and a global consumer goods manufacturer, which filled the remaining available cabinets in the second sector of the Switch PYRAMID. Total contract value of these new sales exceeds $100 million in new incremental revenue. Switch (NYSE: SWCH), the technology infrastructure corporation headquartered in Las Vegas, Nevada is built on the intelligent and sustainable growth of the internet. Switch founder and CEO Rob Roy has developed more than 500 issued and pending patent claims covering data center designs that have manifested into the company’s world-renowned data centers and technology solution ecosystems. The Switch PRIMES located in Las Vegas and Tahoe Reno, Nevada; Grand Rapids, Michigan; and Atlanta, Georgia are the world’s highest-rated hyperscale data center campus ecosystems with low latency to major U.S. markets. The Switch PRIMES are located in the most cost-effective area of each North American zone based on power, connectivity, taxes, cost of living and lower risk of natural disasters. Visit switch.com for more information. This press release contains forward-looking statements within the meaning of the Private Securities Litigation Reform Act of 1995 concerning Switch and other matters. All statements contained in this press release that do not relate to matters of historical fact should be considered forward-looking statements, including, without limitation, statements regarding customer deployment plans and incremental revenues. In some cases, you can identify forward-looking statements by terms such as ”may,” ”will,” ”should,” ”expects,” ”plans,” ”anticipates,” ”could,” ”intends,” ”targets,” ”projects,” ”contemplates,” ”believes,” ”estimates,” ”predicts,” ”potential” or ”continue” or the negative of these terms or other similar expressions. Forward-looking statements involve known and unknown risks and uncertainties that may cause Switch’s actual results to differ significantly from those expressed in any forward-looking statements. You should carefully evaluate these forward looking statements in the context of the risks and uncertainties disclosed in Switch’s Annual Report on Form 10-K for the year ended December 31, 2017 and any reports Switch subsequently files with the Securities and Exchange Commission. These forward-looking statements reflect the company’s current expectations and projections about future events and financial trends and speak only as of the date of this communication. Except as required by applicable law, Switch undertakes no obligation to publicly update or revise any forward-looking statements, whether as a result of any new information, future events or otherwise.